26 years, 2 months, 26 days old age. Ashton Turner will turn 27 on 25 January, 2020. Only 9 months, 4 days, 21 hours, 44 minutes has left for his next birthday. Ashton Turner has celebrated the total number of 26 birthdays till date. See the analysis by days count and bar graph. Ashton Turner was born on 25-01-1993 in Perth in the state of Western Australia, Australia. He is an Australian Cricket Player. 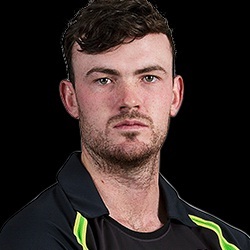 Ashton James Turner is a batting all-rounder who began his first-class cricket by representing Western Australia in 2012–13 domestic season. He also earned a contract with BBL team Perth Scorchers. He has represented Western Australia at under-15, 17 and19 levels. He has also captained the side and made his under-17 team win the National Championships. He was a part of Australia’s U-19 team during the 2012 Under-19 World Cup. He showed his class with the ball in hand and became Australia’s frontline spinner during that world cup and ended the tournament with 11 wickets to his name. His first class record is not that extraordinary but he showed his hitting prowess in BBL and came to limelight with his hitting abilities. He was finally given a chance at the highest level against Sri Lanka in T20Is. He, however, failed miserably and was subsequently dropped from the team. He after a great outing in BBL 2018-19 was selected in the team that toured India in 2019 just before the world cup. After failing in his first match, he came back strongly in his very second ODI and scored an unbeaten 84 not and helped his side win a thriller. He tore apart one of the best death over’s specialists in Bumrah and Bhuvneshwar Kumar. He was also roped in by IPL franchise Rajasthan Royals at the 2019 IPL player auction at his base price of 50 Lakhs INR. He was born to James Turner. He played as a frontline spinner in 2012 ICC U-19 World Cup. Besides batting and bowling, he is also an excellent fielder as well. His skills are often compared to Glenn Maxwell as they both are part-time off-spinners and hard-hitting batsman.